Here is the second card I wanted to share with you. It has one of my favourite “symbols” on it. The star! I love stars, any kind. Maybe it stems from my experience in the theatre where I secretly hoped for that starring role. Maybe it came from one of my directors who wanted to make sure that we all felt the importance of our roles, no matter how big or what our job was. This sort of played out in my teaching. When I welcomed a new class of elementary students (usually the sweet primary kids) into my room in September, I told them they were all stars, special in some really great way, talented, and they should shine like stars. I really believe that. Each person is talented, gifted and special in some way, whether it be in a school subject like Math or Phys. Ed., or in the way you make others feel comfortable around you, or make friends easily, or even help out. Everyone is a star! I guess that is why I still love stars in my cards. I have lots of stamp sets with them and I love using them. 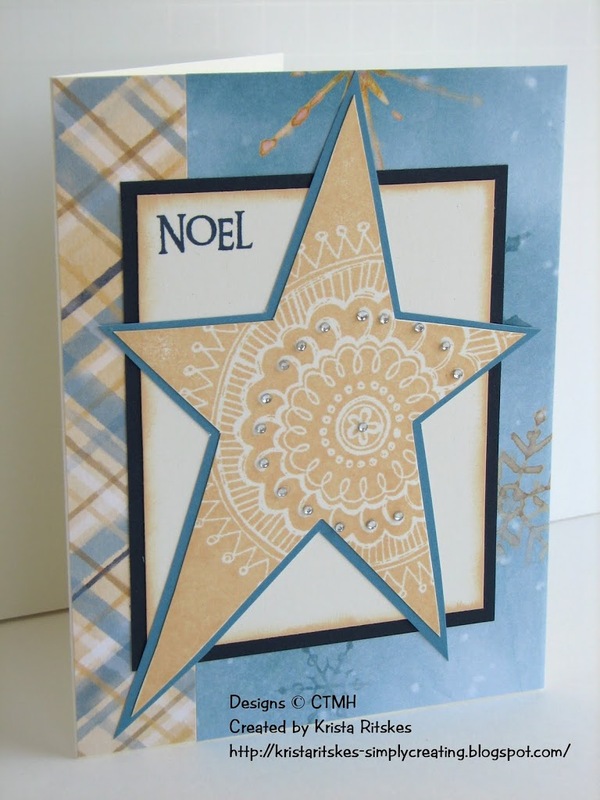 This particular star was stamped in Creme Brulee with one of my favourites, Shining Star. I used Say It In Style for the sentiment and the paper is from Aspen again. I also added some Bitty Sparkles to bling it up a bit. Now, what is your “star” gift?